In our most recent solid-state amp chart update, we removed the Fender Mustang V V.2 HD and replaced it with the popular classic combo, the Fender Champion 100. We also added the incredibly versatile Marshall CODE 25W and the on-the-go performer’s dream, the Roland CUBE Street. In a world dominated by tube elitism, solid-state amplifiers are once again finding their place. More and more solid-state models from a wide range of brands, including Marshall, Fender, Roland and Orange, are being produced and they’re proving a useful tool for guitarists of all styles. What is a Solid-State Amp? Which is why we’ve compiled a chart highlighting the best solid-state amps on the market today, spanning several popular price ranges. After we’ve dived into some of the best amps, stick around for a look at solid-state units and how their image has changed over time. One of Roland's incredibly capable and fairly unique solid state designs available. A blank canvas that offers great base to build your tone upon. Boss design that brings power and a number of their best effects. Extremely versatile and ultimately consistent head with plenty of performance to give. An affordable solid-state combo with incredible versatility. No nonsense solid-state combo with huge power. Extremely attractive cleans that will surprise even the most conservative guitar players. Practical and affordable amp fit for a one man show! Roland's JC-120 Jazz Chorus amplifiers bring the essence of a very odd time in solid state amp history. What we have here is a rather vintage looking combo that looks like something straight out of '80s. However, that's only a facade to a very capable hardware that can single handedly alter the perception of this category. With a mighty 120 Watts of power at your disposal, several built in effects and plenty of controls, this Roland combo is a perfect choice for both studio and stage use. 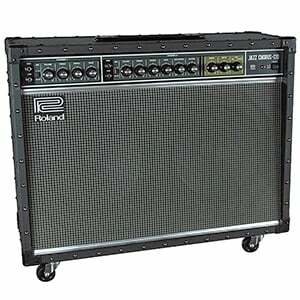 When it comes to basic solid state amplifiers, Roland is probably the best brand to turn to. Their Blues Cube Hot offers one of the most boiled down combos you can get. Blues Cube Hot is a classic amp with a single channel, plenty of standard controls and not much more. It is basically a blank canvas that offers a solid base for tone building. 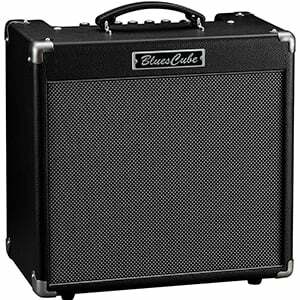 You get 30 Watts of power with built in attenuation, making the Blues Cube Hot a great choice for practice use as well. The tone that it delivers is amazing to say the least. The clean channel is reminiscent of Roland's legendary models from the past. As such, it commands respect and praise. 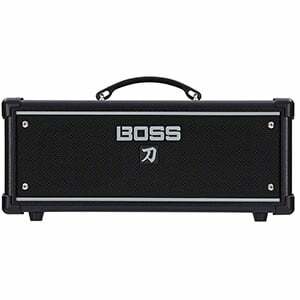 Boss, the company that is responsible for some of the best guitar effects in the world, also makes really solid amps. Their Katana series have proven that this giant isn't a one trick pony. Katana head packs 100 Watts of pure power and features a complete suite of effects. As you could imagine, most of these are emulations of their legendary effects pedals. Add the versatile connectivity and you have an amp that is ready for just about anything. Since it is fairly powerful, Katana is a great choice for performing musicians who need a solid workhorse for stage use. All you have to do is find a decent 4x12 speaker cabinet and you are pretty much set to go. Line 6 has made it to the top of solid state/modeling segment thanks to their no-nonsense approach to guitar amplification. Their Spider V 240HC is among the most capable heads of this type. Not only is the tone great, but this thing offers some 240 Watts of power to its user. In other words, you can bring this bad boy to any stage in the world and be set. On top of that, Spider V 240HC also brings that Line 6 pricing, which makes the entire deal so much better. If you were after a capable head that can be used both at home and for gigging, chances are you won't find a much better model than this one. Marshall’s CODE 25W is one of the most versatile affordable solid-state amps on this list, with a whole world of tones, amp models and effects crammed into a relatively small package. It’s very well-stocked, with 14 classic preamps, four power amps and eight speaker cab emulations, as well as 24 digital effects to give you huge flexibility both on stage and in the studio. At 25 watts, it’s certainly not the most powerful amp on this list, but the tone and power still offer performing guitarists a solid partner for smaller stages. For under $200, it shows incredibly good value. 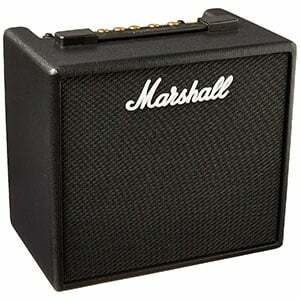 Be sure to check out the complete Marshall Code 25W review for all the details. Aside from the sheer power and tone, one of the main draws to the Fender Champion 100 is the simplicity – it’s a no-nonsense solid-state combo amp that’s easy to get to grips with. That’s not to say it isn’t flexible in its sound-shaping capabilities, as it features a wide range of amp voicings and effects – including chorus, delay, reverb and flanger – over two separate channels. Tonally, you can find everything from sparkly Fender cleans to a beefy distortion for heavy rock. As for power, the Champion 100 is the most powerful in the Champion Series, featuring two 12” Fender Special Design speakers with 100 watts of power. There’s more on the Champion 100 in the full review. Orange Amplifiers' tube heads are what made them popular in the first place. Fortunately for us, their solid state designs aren't bad either. Orange Amplifiers Crush Pro CR120H is one such model that will easily surprise even the biggest Orange Amplifiers fans out there. Where most Orange amps pack a killer dirty channel and a mediocre cleans, Crush Pro CR120H is the other way around. Cleans on this head are out of this world. 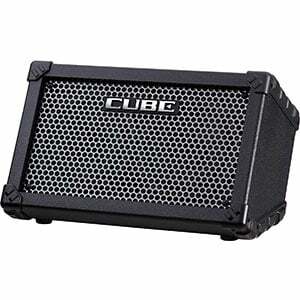 While the Cube Street from Roland is no match for some of the other solid-state amps on this list in terms of power or tone, this cool little amp is the perfect partner for guitarists on the move. With two 6.5” speakers and 5 watts of power, this battery-powered combo amp shows off great style with a light and compact feel that makes it very useful for street performances (although the included adapter makes it a good home amp too). There’s two channels, with separate controls for both mic and guitar, with the latter offering 3-band EQ, eight different COSM amp models and six built-in effects. There’s more on the Roland Cube Street in the complete review. Back when electric guitars were first developed, the world was still living in the age of the vacuum tube, with electronics at that time using analog technology to operate. When it came to guitar amplification, it turns out that tube amplifiers were a godsend for tone. So much so that they have continued to stick around until today. The main issue with tube amps was that they were not that efficient, because a big portion of the power fed into the amp was turned into heat. While others ploughed on with tube technology, some manufacturers began developing transistor (or ‘solid-state’) amplifiers thanks to the advent of the silicon chip. Instead of using inefficient vacuum tubes to boost the signal, manufacturers started using silicon-based transistors. The immediate effect was an exponential spike in efficiency as heat was drastically reduced. Soon enough, guitar amps became cheaper to produce and guitarists rejoiced! Despite the tone, consistency and flexibility on offer from solid-state amps (which we’ll discuss further below), many experienced guitarists still see tube amps as king. In some ways, they are justified in their thinking – but this should take nothing away from solid-state amps. In the beginning, the reception for solid-state amplifiers was pretty hostile. The new technology still needed some ironing out, but eventually these amps became more refined and we ended up with big power and amazing tones. Yet there are still pockets of unwarranted prejudice against solid-state amps. This is a big shame and not something you should accept as the truth, without some research of your own. Test some out, watch some videos and make up your own mind. We mentioned tube models were stuck with an inherent inefficiency, although the bigger problem they suffer is the cost of manufacturing one, with both vacuum tubes and their circuitry pushing up the overall cost of an amp. Some of the best tube amps out there are hand-wired, which pushes an already high price tag even higher. Solid-state models don’t have this problem. Of course, you can find very expensive solid-state amps, but the manufacturing process of one is more or less the same as that of any other piece of electronic equipment, with printed circuit boards and mass-produced chips. This means the price of producing a solid-state amp is much lower than that of a tube counterpart. In practical terms, this means that guitar players have the opportunity to buy something that is powerful and efficient, at a fraction of the price a tube equivalent would cost. While you can certainly get amazing tone from tube amps, every vacuum tube has a well-defined power band and you must keep the tubes in their sweet spot to achieve the best tone. This would be fine if most sweet spots weren’t in the 100-watt range. This means, in order to reach that sweet spot, you must be playing at volume levels that probably work well on a big stage but are uncomfortable in a smaller environment. Solid-state amps don’t suffer from this issue, meaning you have access to a consistently great tone at any volume, whether playing on stage to thousands or to yourself in the living room – from the moment you turn it on to the moment it goes off. Another bonus of choosing a solid-state amp is that many offer built-in amp modeling and effects. Of course, so do some tube amps, but it’s much more common and flexible on a solid-state amp. These amps offer the addition of a sound processing unit, which is similar to what you would find in guitar effects processors. These units emulate the tone and response of classic tube amps, providing huge versatility without increasing the price too much. It’s a small point, but solid-state amps tend to be much lighter than their tube counterparts, making them easier to transport to and from gigs. On that note, they are also less fragile than tube amps, with no glass tubes at risk of smashing should you accidentally knock or drop the amp. While it will depend on your budget and aspirations, there are several things you should look out for when buying a solid-state amp. The most basic requirement most guitarists look for is a good clean channel, because this is a fundamental aspect (even those playing the heaviest metal will need to go clean at some point). While the clean channels of solid-state amps have been criticized in the past, these days most decent amps have solid clean channels with a natural tone and crystal clarity. In fact, many jazz guitarists prefer the clarity of solid-state amps to tube amps. A good, naturally clean channel will also allow added effects to perform at their best, which is crucial if you are using external distortion or effects pedals. On that note, if you don’t have the space, money or time to shop for external pedals, a solid-state amp with effects built in will be a great advantage. 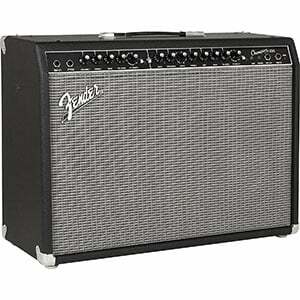 As for power and amp style (combo or head), it will depend on what you are using the amp for. If you are planning a big gig, a head which allows you to hook up to a cabinet will be your best option for convenience and power. If you are just using the amp for playing at home, practice or a studio setting, a combo amp may suit you better for convenience. Solid-state amplifiers have come a long way since they were first developed nearly 40 years ago. While you may have had some preconceptions, we hope that our guide has shown you that solid-state models have a lot to offer, while giving you some inspiration ahead of your next purchase. Good luck with your hunt for the perfect solid-state amp! Randall RG line, like the RG1503-212 is clear winner. Tops many tube amps on the dirty channel, and the cleans are pure and powerful.